104 Riverside RV Village - A Hideaway in the trees. Large and deep lot with a 1995 30' Dutchmen 30RK-LE Fifth Wheel in great condition. Hasn't moved since new! Set back from the road on a deep lot with lots of parking and a lawn area up front. 12x18 grade-level deck in the back along with fire pit and screen gazebo. 8x10 shed for extra storage. Inside, the 30 addition has plenty of windows and two seating areas. 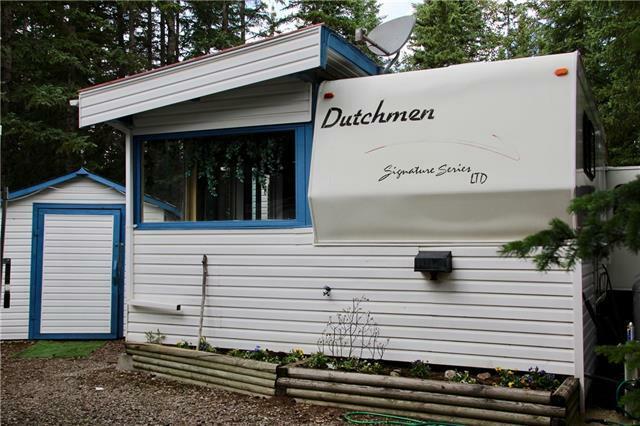 Roomy fifth wheel is in great shape with back corner kitchen for those morning coffee moments. Riverside has seasonal town water and sewer and electricity and access year 'round. 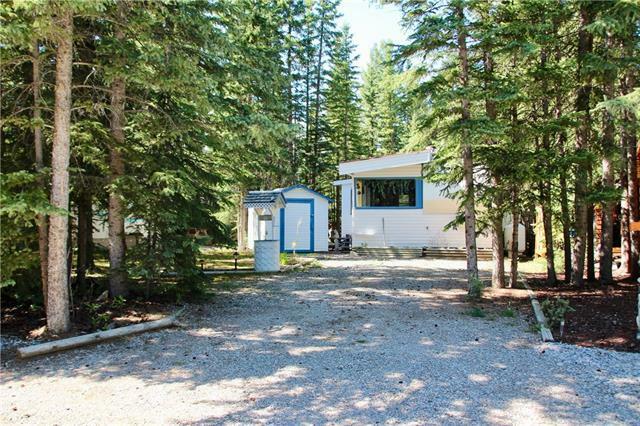 Nearby clubhouse with washrooms, showers, laundry, and party room. Playground and horseshoe pits. 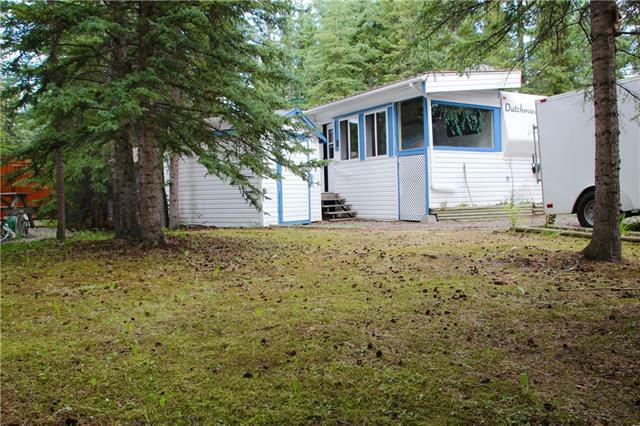 There are also year-round washroom and laundry facilities available. 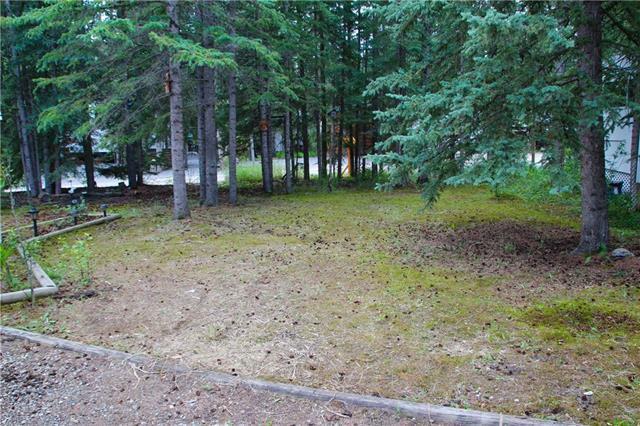 Only a minute's walk to the river and a few minutes to groceries and restaurants. Gated access. Come SEE this hideaway to appreciate it!